New for 2014, the Premium Bike Care Value pack is a three pack of our best selling products: Multi Bike Degreaser, DRY Lube, and Super Bike Wash™. Everyone knows that a clean bike runs smoother and lasts longer and it has never been easier to achieve that. 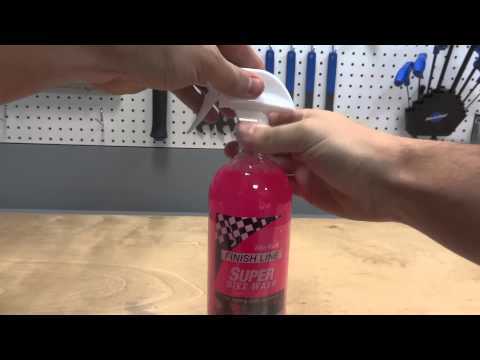 Clean your frame, handlebars, stem, saddle, and seatpost with Super Bike Wash. This 4oz concentrate makes one liter of our best selling cleaner. Super Bike Wash™ will quickly clean dirt, clay, road grime and chain soils off your bike with little to no scrubbing. Five different cleaning agents work together to create a high speed cleaning system. Remove all of the grit, grime, and old lubricant from your drivetrain with Multi Bike Degreaser. Finish Line Multi Bike Degreaser features 100% active (no water) biodegradable degreasing solvents, so bicycle chains and gears are cleaned more quickly, and often without a need for a water rinse. Less time cleaning means more time riding! 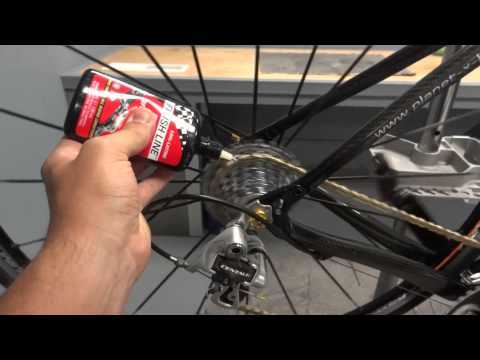 Lastly, keep all of the moving parts on your bike well lubricated with DRY Lube. Formulated with Teflon® Fluoroploymers, DRY Lube goes on wet, but sets up into a dry paste that will not attract grit, grime, or other contaminants. DRY Lube also features a proprietary quick dry formulation that sets up quickly and holds up to extreme pressures and resists water wash-off.